Solid Ivory Hourglass Chandelier Shade - Simple elegance! This ivory dupioni silk chandelier shade is gracefully formed into an hourglass shape. We recommend a 25-40 watt bulb for chandelier shades. Full Description Solid Ivory Hourglass Chandelier Shade - Simple elegance! 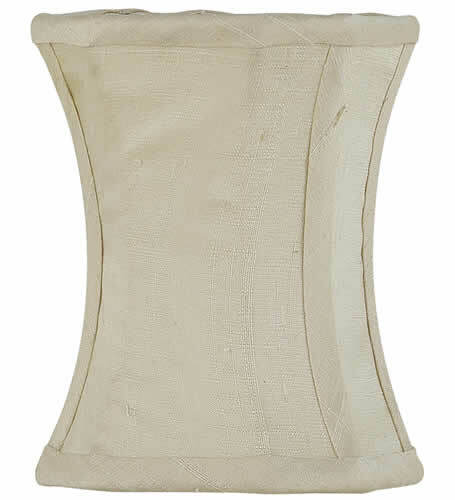 This ivory dupioni silk chandelier shade is gracefully formed into an hourglass shape. We recommend a 25-40 watt bulb for chandelier shades.